DEBORAH CROMBIE: Today, the multi-talented Elizabeth Zelvin--writer, singer, song writer, psychotherapist--gives us a much-needed (at least on my part) Saturday boost! Liz's latest mystery is DEATH WILL EXTEND YOUR VACATION. 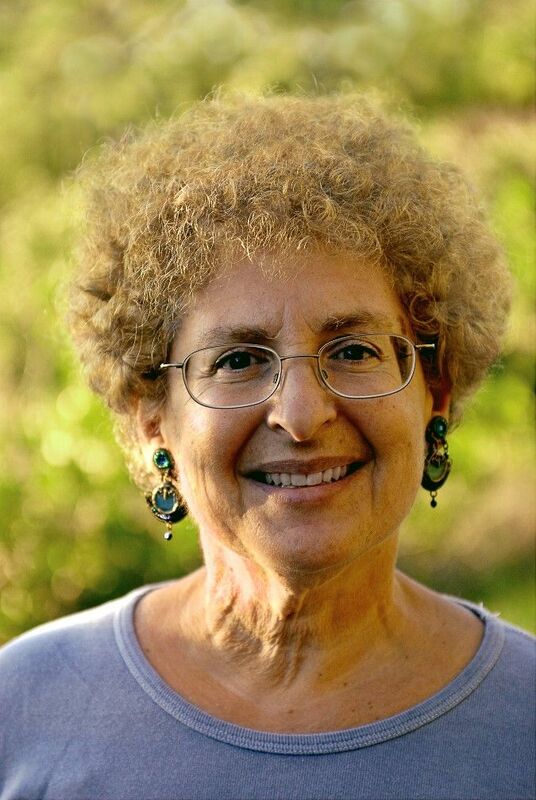 Her short stories have appeared in Ellery Queen’s Mystery Magazine and have been nominated for three Agathas and a Derringer award. 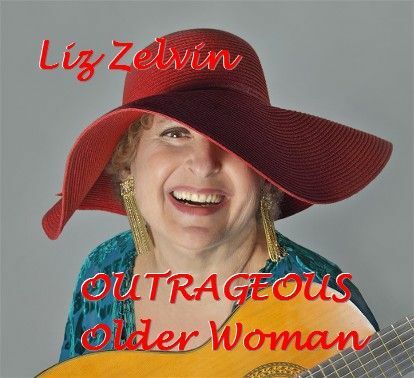 As Liz Zelvin, she recently released OUTRAGEOUS OLDER WOMAN, an album of original songs. Oh, and a bit of business before we turn it over to Liz. Our winners of advance reader's copies of Charles Todd's An Unmarked Grave are Karen Russell, Ethan, and Diane Hale! Could you three send your mailing addresses to me at deb at deborahcrombie dot com? I'll forward them to the Todds' wonderful publicist at William Morrow. is ten years more than me. I actually have the T-shirt. Sometimes I put it on to go for my three-mile run in Central Park, only one long block from my apartment. By the time I reach the park, I’ve usually forgotten what I’m wearing. (Sad to say, Outrageous Older Women suffer from declining memory, just like senior citizens.) It only comes back to me when I notice that a helluva lot of women of a certain age are giving me a big smile as they pass by. So what’s the matter with “senior citizen”? The term was coined as a euphemism for such epithets as “elderly,” “little old lady” or “little old man,” and the floridly disrespectful “old bag” (female) and “geezer” (male). But sometimes a painstaking attempt to be polite reeks of insincerity, and the recipient takes it for the false compliment it is. My Aunt Marta was in her mid-sixties, younger than I am now, when she ran into a high school classmate she hadn’t seen in decades. When the woman told her she was “looking very spry,” she was so furious that steam came out of her ears when she told me about it. The up side of being a senior is the half-price bus and subway fare and the discount at the movies. Oh, and the accumulated wisdom of long experience. The down side is everything else, including the fact that we shrink. There’s nothing figurative about that “little.” I’ve lost an inch and a half already and will probably be looking up instead of down at my grandchildren in another ten years. So what have I done with my golden years? So far, I’ve published three mystery novels featuring recovering alcoholic Bruce Kohler and his friends, world-class codependent Barbara and computer genius Jimmy. 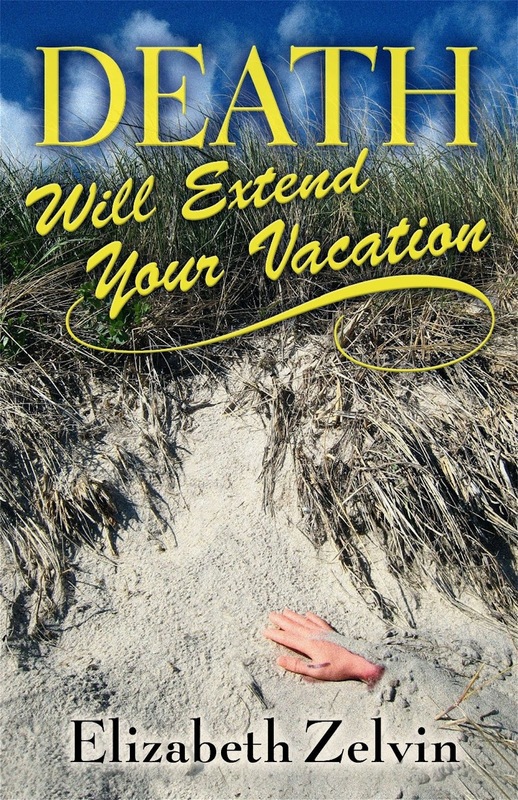 DEATH WILL EXTEND YOUR VACATION is just out. In this one, Bruce and his friends take shares in a lethal clean and sober group house in the Hamptons. The first one, DEATH WILL GET YOU SOBER, came out on my sixty-fourth birthday. And in the hiatus between book two and book three (I don’t need to say anything about the current state of the publishing industry, do I? ), I wrote a dozen short stories (three nominated for the Agatha for Best Short Story and another for the Derringer) and recorded OUTRAGEOUS OLDER WOMAN. It’s not so much the mystery plots that I couldn’t have written as effectively when I was younger. But that cumulative life experience I mentioned enables me to create complex characters, breathe life into them with distinctive voices and authentic relationships, and explore such themes as addiction and recovery and the nature of friendship. In the album, I sing about love and family, abuse and healing, and yes, aging. I do my best to make readers and listeners laugh and cry. In the books, Bruce hits bottom, displays a smart mouth and a lot of New York attitude, and eventually takes an honest look at himself. The songs range from the embellished retelling of a Jewish shaggy dog story to my take on 911, written in New York a day or two after the tragedy. It seems to me that “senior citizen” is a patronizing term. It implies that once you reach a certain age, your effectiveness diminishes and people have to make allowances for you. Being an Outrageous Older Woman is all about empowerment: no allowances, no excuses, and a helluva lot of fun. DEBS: I say "hooray!" How about you, REDS and readers? It angers me when newspapers refer to an "elderly woman" and she turns out to be 55. I also think AARP knocks on your door a little prematurely. As for shrinkage, it doesn't seem to happen to my waistline, just my height. Love your attitude--I'm enjoying my seventies a lot more than I did my forties! You ought to market those T-shirts, complete with your red-hat picture! LOVE the red hat picture, too, Liz. I love Elizabeth Zelvin, her books, and her attitude. I've enjoyed meeting her and talking to her at the last two Malice Domestic conferences. Thanks, Debs, for bringing her to JRW! Oh god, I think I'm in love. "But sometimes a painstaking attempt to be polite reeks of insincerity." Thank you. Thank you. Thank you. I needed to read this, this morning, my first day of a negotiated commitment with my husband for daily mornings of house silence for me to write. I'm still recovering from an academic life that had me thinking too much about stuff I hated and writing too much about stuff I found tedious. One day on the campus shuttle I discovered a mystery novel that pulled me into it the way no book ever had, not since childhood. I'd figured that was a thing of being little and a junior citizen. Kids don't miss out on patronizing, either. Do they? But that book by Tony Hillerman, and a quickly-followed other by Robert B. Parker showed me that I was boring myself to death in academics. Fortunately this coincided with a disability that I would have otherwise thought to be tragic, and I had to take long-term leave from my job until they retire me when I reach the right numbers of "years of service and age." Next year? I can write, not easily, and not well enough for work, but slowly and with deliberation and no distraction - and a lot of help from my husband and electronics - I can get words down on the page. I needed to read this today. And the red hat picture... yes. Thank you! I must order all your books. Right now. So please excuse me while I go do that. Reine, yay for the commitment to quiet time for your writing! So proud of you! Go, girl! When I was a photography student in the sixties I did a collage which featured the slogan "For those who think Young." I never asked myself what it meant to be young. I was young. Now I am not young but I do not want to be young. I like my septuagenarian self because I do not fret over the small things. I live life and do not think about age although some may label me childish I see myself as adventurous. It is good to be old. Last suummer, shortly after my 49th birthday, I was riding my brand new bike around the subdivision I live in, when I came across a group of little boys (8-10 yr.old range) who were shooting super soakers at each other across the street. As I rode through them I heard one of them holler "lets hit the old lady!" I immediately looked around to see who they were targeting, when I realized they were refering to ME!I came home ready to cry and terribly offended, because I certainly don't feel (or necessarily look) "old".... My family just laughed as I shared my indignation! I have trouble believing that you are "that old." Your energy and talent far exceed any number. I just finished "Vacation, " and I loved it. I felt I was there in the Hamptons enjoying the salt and sea, and food. (I will post a review asap). Bruce and his friends are charming, and there is a wonderful energy in settling down with old friends. I don't know about 70 being the new forty, but I do know it has opened my mind to all kinds of possibilities. You are an inspiration --in more ways than one. Liz, loved seeing you at Malice! Congrats again on the new book and the recording! Thanks, everyone, for your wonderful, heartwarming comments. I'm chiming in late after driving to NJ to give a talk to Sisters in Crime Central Jersey & Liberty State Fiction Writers on writing about social issues without being preachy and then on to my granddaughter's eighth birthday/First Communion party. I've written elsewhere about my Aunt Hilda, who turned 100 in April and still plays tennis. My Cousin Lisa, who got out of Vienna by the skin of her teeth in 1938 and is now 92, broke her neck for the second time about a week ago--and is already in the swimming pool, emailing all her friends, and, she says, listening to the OUTRAGEOUS OLDER WOMAN CD every day. My mother the lawyer got her doctorate in political science at 69 and lived till 96. So I've been lucky in my role models--and can't even consider slowing down, with all that to live up to. As one who just experienced her 70th birthday, I must say I don't feel like a new 40, or even an old 40. However, I'll definitely admit to being an outrageous older woman who's enjoying life and killing off the people who annoy her (figuratively speaking) by writing crime fiction. Now must go shopping to find one of those T-shirts. Reine, I wanted to respond to your story about the merits of mysteries over academics. I was an English major who jumped the wall and ran off with genre fiction shortly after graduation. No regrets! I've also found that many mystery lovers remembered my favorite books from childhood as fondly as I did. Liz, thank you for the comment. I love that you "jumped the academic wall" and I am picturing a sketch of it right now! Liz, I loved hearing about your family. You certainly have great role models! I certainly feel inspired--and in the meantime, I want the CD, the book, AND the t-shirt! Many years ago I read a police news item about a high speed police chase in which an "elderly" man's car was hit by the person who was being pursued by the police. At the time that the accident happened, the police had not yet caught up with the speeding driver; the driver of the other car just thought it was an ordinary accident at that point. The older man pulled over to the side of the road and got out of his car to exchange insurance info with the driver who hit him. He was astonished to see the younger man back up, briefly stop and then speed forward to ram into his car again...and again, and then jump out of the car and attempt to run away just as the police arrived on the scene. As I was reading the article, I was thinking to myself "Poor old man! At least he didn't get hurt". Then I read the name of the man that the article repeatedly referred to as "elderly" - he was one of my favorite uncles, one of the most "young at heart" people I have ever known -and at the time of the accident he was only two years older than I am now! Up until the day he died, he was never someone that anyone who actually knew him would describe as "elderly". (And he thought the entire incident was extremely comical - including being called "elderly"! He said he was thinking as he was watching his car being hit "gee, that guy's got a problem; better for him to take it out on my car than on me!" I've been on the road all day so apologies for weighing in late...Liz is so far from a senior that she is an inspiration to ALL of us writers who are finally following our dreams. My fave Liz anecdote is from the Indy Bcon when she whipped out her guitar and had all of these cute 20somethings guys rocking with her!!! How jealous were the rest of us??? I know I was! Ro, the way I remember it, it was ONE guy--what had you been drinking? hugs and Happy Mother's day to all!! Talented Liz sparkles like fine champagne! Liz, it's a real pleasure to meet you, and it sounds like your Bruce Kohler series is right up my alley. I'm an SOB, a Sober Old Broad, sober for half of my 62 years and grateful as hell. I don't really mind what people call me, I figure it's a reflection of their own attitudes, and I just keep on truckin'. What I do detest is being condescended to about anything - age, being female, you name it. Any whiff of patronization or condescension and you'll see the side of me survived all those years of bar-drinking. Liz, I've met you, and can guarantee there is nothing elderly about you! You epitomize what this stage of life should be and I hope you keep on doing it for at least fifty years to come.